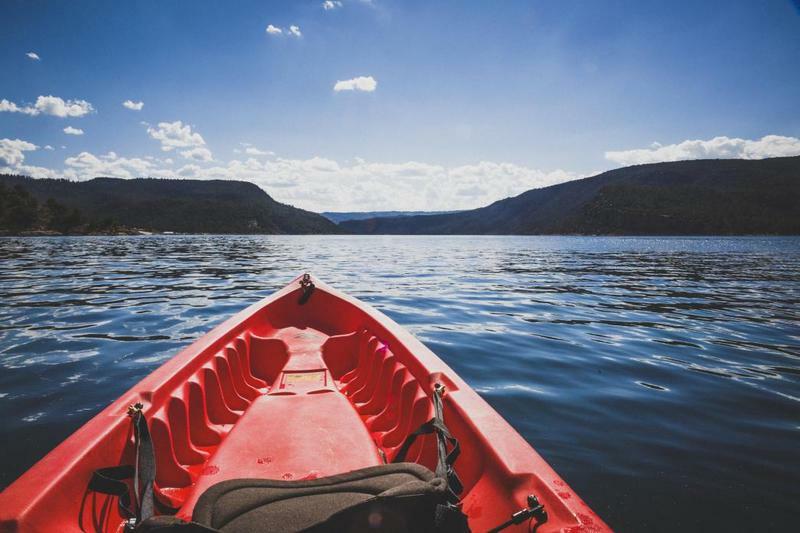 With more than 360 miles of shoreline, the 91-mile-long Flaming Gorge Reservoir a popular paddling destination in Utah. Launching a canoe, kayak, or stand up paddleboard into its deep blue water can lead to an unforgettable experience. Cart Creek is another great outing that will take you beneath an arched suspension bridge and into a wake-free zone. Start at Cedar Springs Marina and head east along the rocky south shoreline. After a mile you will turn right, south, and head under the bridge. Head up the narrow Cart Creek Canyon. The fishing in this area can be great, so pack a rod. Reverse the course to return to Cedar Springs Marina for a four- to five-mile trip. Kayaking and stand up paddle boarding are fast growing sports. 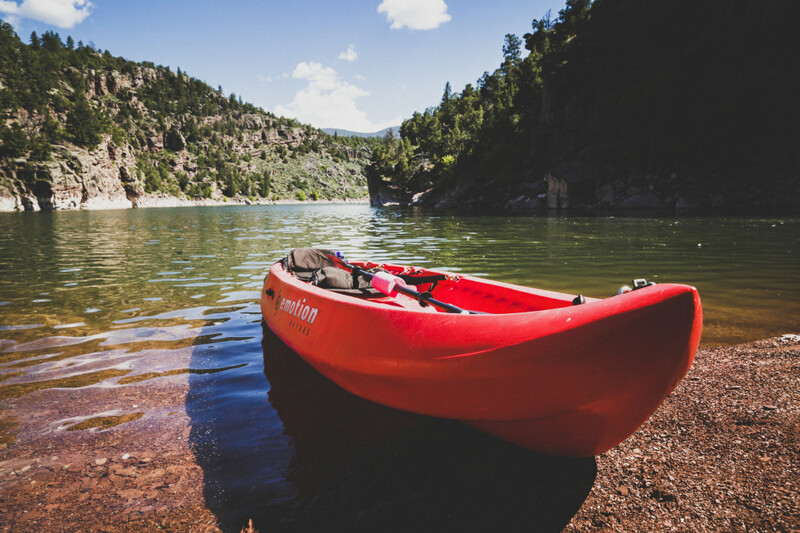 Paddling on the reservoir is a skill that is easily learned and allows you to explore at your own speed. All the excursions above are open to beginners with some level of fitness. For young explorers try a tandem kayak and have them share paddling responsibilities with an adult. 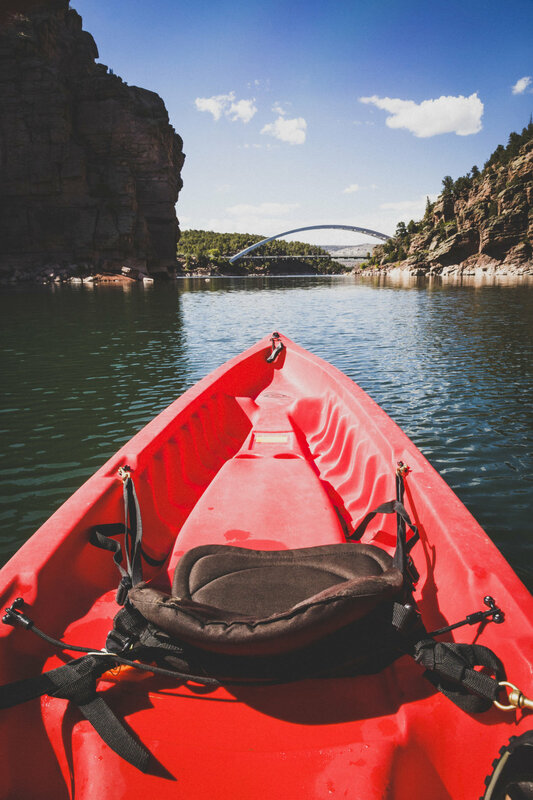 If you love water, viewing wildlife, and exploration, paddling the lake is definitely for you. The Flaming Gorge Recreation Area falls within a National Forest Fee area. Purchase multi-day passes at numerous locations along the way and at all boat launches. You are not required to wear a personal floatation device (PFD) while paddling, but you are required to have one on board. Cedar Springs Marina is five miles south of Dutch John on Highway 191. Mustang Ridge Boat Ramp is five miles from Dutch John. Head north on 191 from Dutch John turnoff for two miles. Turn left onto Forest Road 184 and follow for three miles to the boat ramp. 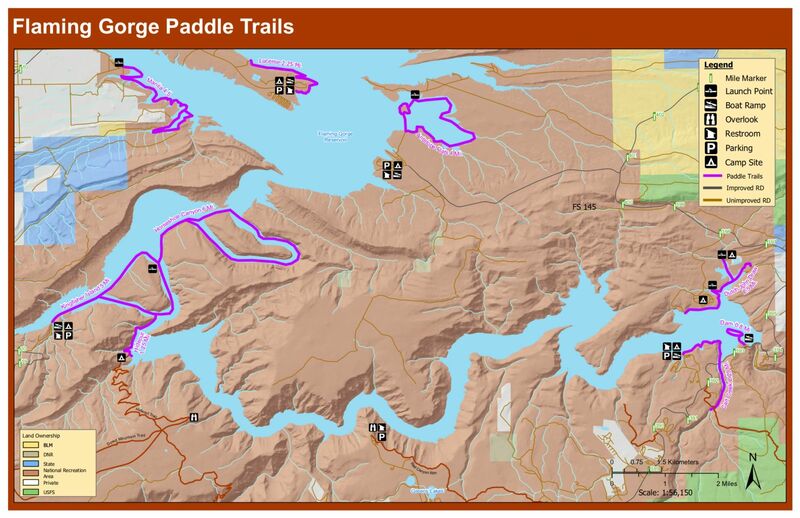 Thank you for visiting http://www.flaminggorgecountry.com/paddling-flaming-gorge! Be sure and revisit flaminggorgecountry.com frequently for content updates and more.